My apologies, I’ve been busy over at the garden so it’s been a while since I’ve posted here. 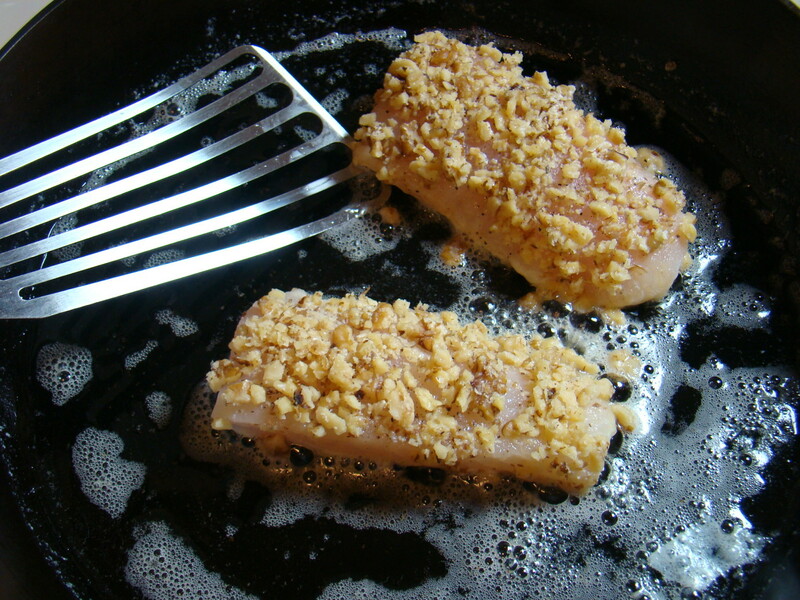 There are still a few walleye fillets left from last summer. You could use any firm white fish and probably any nut you’d like. Just don’t grind/crush the nuts too finely. Here’s what I did with them. 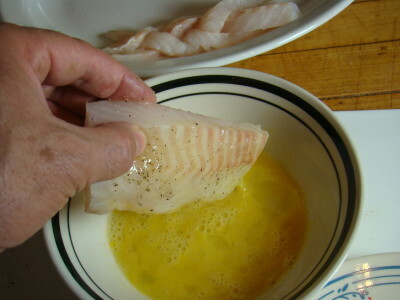 Trim and portion the fish. Season with salt and pepper. Crack and beat the egg, dip the fish portion in the egg wash.
Press the egg coated fish into the crushed nuts. Preheat oven proof pan over medium high heat. 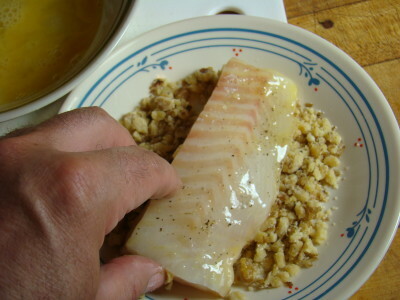 Add the butter, when butter is melted but not browned, add the fish. Saute gently for 2 -3 minutes, then transfer pan to hot oven for six minutes. 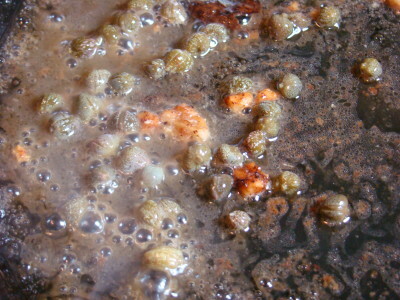 Remove pan from oven, remove fish from pan, add lemon juice and capers to residual hot butter in pan. 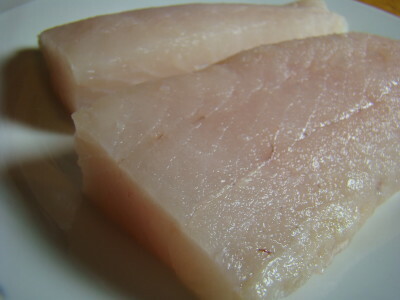 Plate fish, spoon some sauce over the fish and serve with sides of your choice. 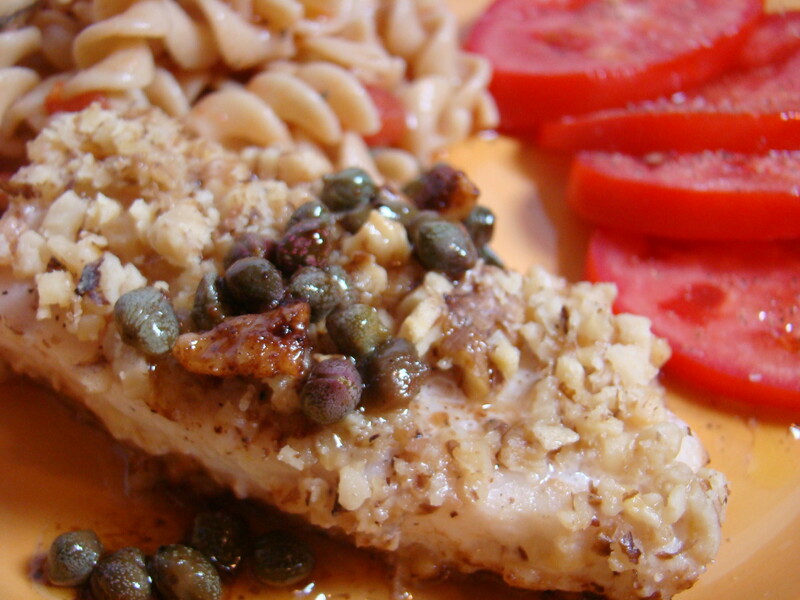 Mild tender fish, crunchy topping, tart sauce, there is a lot going on in this fast and simple dish. Give it a try!